The Third Annual Float, Fly, Pie Triathlon to benefit Family Promise of the Chippewa Valley/The Beacon House will take place April 26 at Action City in Eau Claire. Teams of four will compete for victory (and prizes) at each leg and overall. The “Float” leg has teams jumping on trampolines for a single elimination dodgeball tournament. 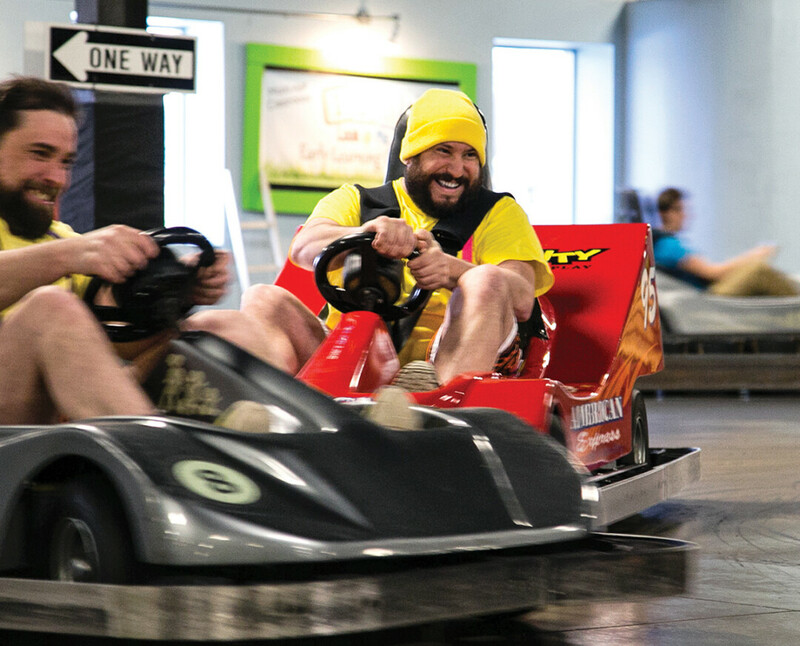 During the “Fly” leg, competitors will show off their driving skills around the go-kart track, and the “Pie” leg has teams competitively eating pizza without the use of their hands. Family Promise of the Chippewa Valley/The Beacon House is an organization that “provides services to families with children that are homeless including shelter at the Beacon House, transitional housing, case management, rental assistance and a means to end homelessness,” according to Executive Director Kelly Christianson. FPCV/Beacon House is unique among homeless shelters in the Chippewa Valley because the organization serves families with children and pregnant women exclusively. Christianson said those attending the event can expect lots of fun and laughter, team camaraderie, competition … and pizza. It’s all for a good cause, as proceeds go toward operating programs that help families end homelessness. The cost to participate is $400 for a team of four, and registration is available on site or in advance at beacon-house.org. Teams of all kinds are welcome to participate, and individual donations in any amount are welcome as well.